It was revealed this past week that the Film Detective will be returning to the DVD market place with 25 new film restorations on Oct. 20. 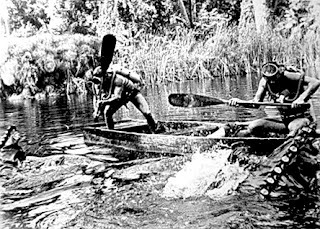 Since it is coming up on the Halloween promotional season it comes as no surprise that included in this mix are the likes of the 1959 Roger and Gene Corman production of Attack of the Giant Leeches. The Brothers Corman recruited prolific episodic television director Bernard L. Kowalski to handle the behind-the-camera work for a four-film series beginning in 1958 that included Night of the Blood Beast, Hot Rod Girl, our classic giant leech movie and the World War II action flick, Blood and Steel. All profitable and clearly done. Kowalski then went back to the world of television series direction that lasted well into the 1990s … of note, he did make a triumphant return to the theatrical market in 1973 with the Strother Martin/Dirk Benedict sci-fi/horror treat, Sssssss! Another horror classic — which was also release in 1973 (nice segue) — is director S.F. Brownrigg’s insane asylum masterpiece, Don’t Look in the Basement (aka: The Forgotten). Yes nurse Charlotte (Rosie Holotik — Encounter with the Unknown, Horror High), the inmates are running the Stephens Sanitarium and you could be their next victim!!! For Western fans, we have dueling cowboys, Gene Autry and Roy Rogers in six films (three each, although Roy makes a guest appearance in one of Autry’s selections) that will be heading home on Oct. 20 from the Film Detective. Roy Rogers stars in three films directed by Joe Kane in back-to-back-to-back years, beginning with the 1938 film release of Billy the Kid Returns. Here we find that Roy is a dead ringer for the legendary Billy the Kid, who has already been sent to cowboy heaven by Pat Garrett (played here by veteran character actor Wade Boteler). Smiley Burnette is Roy’s sidekick, Frog Millhouse, and Lynne Roberts provides the love-interest. 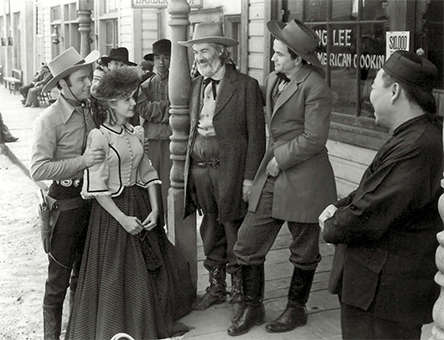 Rogers reteams with Lynne Roberts in 1939 film release of Rough Riders Round-Up and is joined by Raymond Hatton and Eddie Acuff — all are Spanish-American War vets — who join the Border Patrol only to see one of their members gun down in a saloon shootout. Roy Rogers returns in the 1940 Western, The Carson City Kid, which finds Roy adopting the persona of the Carson City Kid — an outlaw!!! — as a way to track down the murderer of his brother. 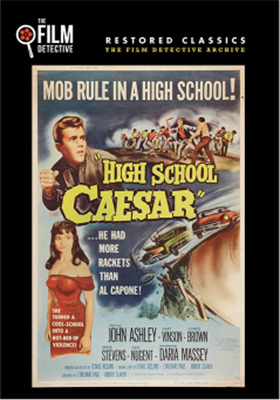 Gabby Hayes is his faithful sidekick, Pauline Moore serves as the love-interest, with screen veterans Francis McDonald, Noah Berry, Jr. and Bob Steele rounding out an excellent cast for Republic Pictures production. Gene Autry fans will be able to select from director B. Reeves Eason’s 1936 Western, Man of the Frontier (aka: Red River Valley), which finds Autry teamed with sidekick Smiley Burnette and hot on the trail of land swindlers who look to blow the dam and run the farmers out. Frances Grant is the frontier gal that Autry has a hankering for. It’s a modern Western for Gene and Smiley in director Joe Kane’s 1937 film release of Public Cowboy No. 1. Rustlers have gone hi-tech with an airplane and shortwave radios to steal cattle. Ann Rutherford is his co-star. It’s a reunion of sorts with the 1938 film release of The Old Barn Dance. Joe Kane handles the direction, Gene Autry and Smiley Burnette star and Roy Rogers does a cameo as a singer … the plot about tractors replacing horses is all secondary to the singing performances. There are also a pair of Westerns starring Tex Ritter on the release schedule — The Mystery of the Hooded Horsemen (1937, Iris Meredith co-stars) and Sing, Cowboy, Sing (also 1937, Louise Stanley and Al St. John are Ritter’s co-stars). Other films included in this 25-strong film restoration package include writer/director O'Dale Ireland’s 1960 high school drama, High School Caesar, starring John Ashley as a the big man on campus who is nothing more than a shakedown artist in the making, Keye Luke takes over for Boris Karloff as the venerable Detective Wong in director Phil Rosen 1940 mystery, Phantom of Chinatown and Lionel Atwill stars in the 1933 whodunit, The Sphinx. 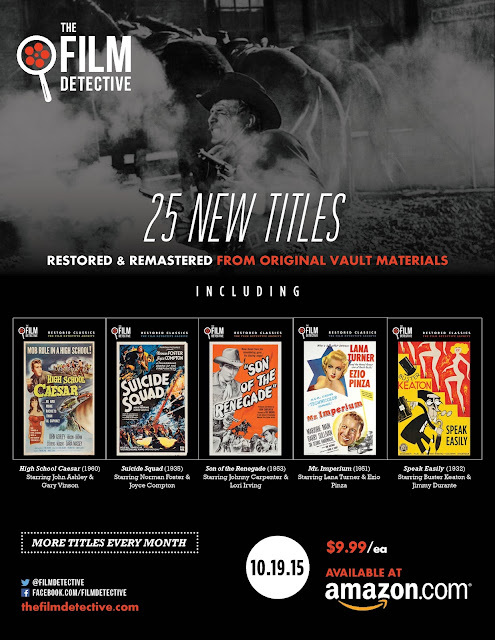 For a complete listing for the Film Detective’s Oct. 20 DVD product offerings please see page 8 in this week’s edition of the DVD & Blu-ray Release Report. What was lost ... is found again! Etiquette Pictures announced this past week that the late Patrick McGoohan’s only turn as a motion picture director, the 1974 ill-fated release of Catch My Soul, has been restored (a 2k scan) from the original 35mm camera negative and will be heading home as a Blu-ray/DVD Combo Pack release on Nov. 17. 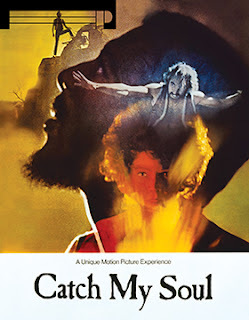 When we say “ill-fated,” events definitely conspired to make Catch My Soul one of those “cult” films that peopled talked about, but few actually saw during its initial theatrical release during the spring of 1974. And then it was gone, thought to be lost. It goes something like this. Former Shindig! producer and music talent manager Jack Good could see that “hip” stage musicals — rock operas — featuring contemporary artists had some real potential among Baby Boomers. The stage production of Hair was all the rage in 1968/69 and so Good hit upon adapting Shakespeare’s Othello as a rock opera, which he titled Catch My Soul. As he was a visionary with Shindig!, so was he with Catch My Soul. He was literally in the right place at the right time. The musical was a moderate stage success, moving from a small venue to a larger one and then touring throughout England (from 1969 until early 1972). During this period The Who had recorded the double-album Tommy in May of 1969 (which only confirmed Good’s instincts) and in 1970, the song-writing team of Andrew Lloyd Webber and Tim Rice came up with a little ditty titled Jesus Christ Superstar. And here is where everything went off the rails, so to speak. Jesus Christ Superstar moved from concept album to Broadway to a major film production from Universal Studios, hitting theatres on a major, well-financed break during the summer of 1973. 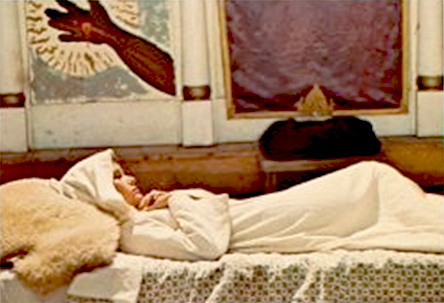 Meanwhile, Catch My Soul finished its stage run and went into production as film as well, but it was running behind Jesus Christ Superstar and instead of a major studio leading the way, Catch My Soul was shepherd to market by Cinerama Releasing, which by the spring of 1974 was in its death throes (the company was gone by summer’s end). There were other issues relating to changes in Jack Good’s life about this time, but what emerged as a final cut of the film — especially after 40 years of “cult-fermenting” — is one for the ages. 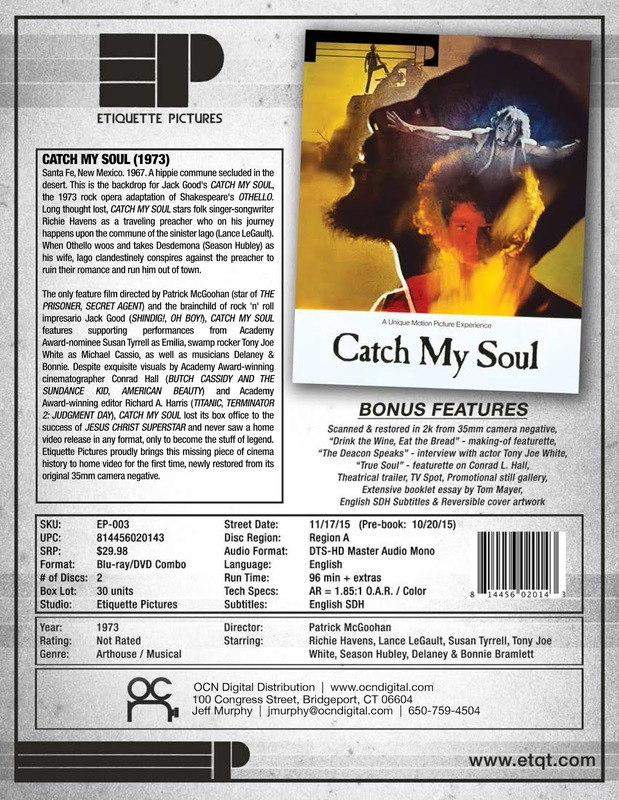 Catch My Soul has a terrific musical track, but the plot structure — a hippy commune in New Mexico — populated by hippy versions of Shakespeare’s Othello characters, smacks more of an acid-fueled summer stock production than a theatrical rival to Jesus Christ Superstar. But that’s the beauty of it! 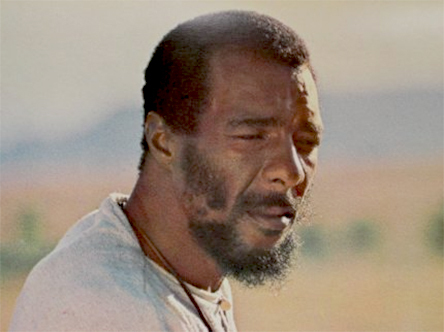 Singer, guitarist, songwriter and Woodstock sensation Richie Havens stars as Othello, that’s inspired! Others in the cast are Season Hubley as Desdemona (in only her second film), singer Tony Joe White as Cassio (fresh from such Billboard Chart hits as “Polk Salad Annie” and “Rainy Night in Georgia” — he also composed many of the songs used in the film and does all of his own singing), Lance LeGault as Iago (began his career as stunt double for Elvis and would go onto become a well-known character actor and voice talent) and Susan Tyrrell as Emilia (Oscar-nominated for her performance in Fat City). Hell of cast, great concept, wonderful soundtrack and a total TRIP! That’s what Etiquette Pictures has in store for both fans and the curious on Nov. 17. Bonus goodies include the making-of featurette titled “Drink the Wine, Eat the Bread,” a video session with Tony Joe White that is titled “The Deacon Speaks” and the featurette titled “True Soul,” which focuses on the film’s cinematographer, Conrad L. Hall (nominated for ten Oscars, with wins for Butch Cassidy and the Sundance Kid (1969), American Beauty (1999) and Road to Perdition (2002)). Mill Creek Entertainment has added director Jonathan Demme’s — Oscar-winner for Best Director for Silence of the Lamb — Jimmy Carter: Man from Plains to its Nov. 3 DVD release calendar. 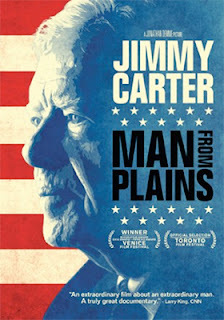 This documentary on president Carter’s 2006 book promotional tour — to support the release of Palestine: Peace Not Apartheid — which includes time with his wife Rosalynn, interviews and a behind-the-scenes look at his tireless travel schedule, joins Mill Creek Entertainment’s ever-growing library of president-themed releases. These include the double-disc collection titled The Presidents: From Politics to Power, JFK: A New World Order, Lincoln: Trial by Fire and Ronald Reagan: The Life and Legacy (and more).